Data isn&apos;t a thing that&apos;s easy for the average person to grasp. While some can look through a spreadsheet and instinctively find the information they need within a mass of figures, the rest of us need a little help, and that&apos;s where data visualisation can be a real help. 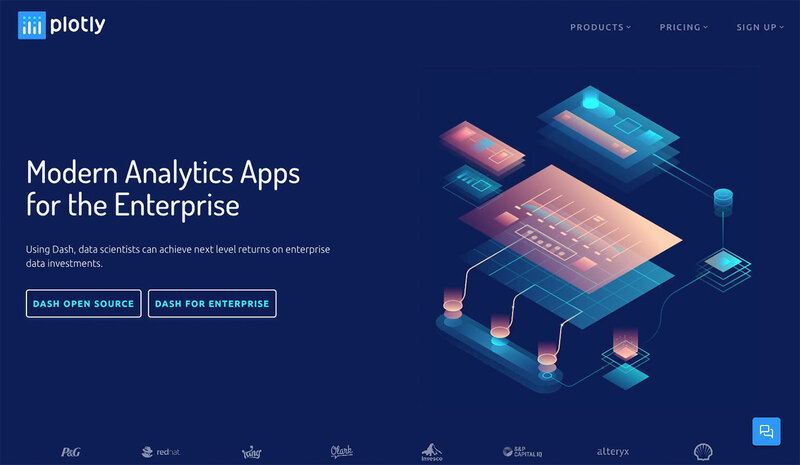 For the designer, the challenge is not only in rendering a set of data in an informative way, but also in presenting it so that it that stands out from the mass of competing data streams. One of the best ways to get your message across is to use a visualisation to quickly draw attention to the key messages, and by presenting data visually, it&apos;s also possible to uncover surprising patterns and observations that wouldn&apos;t be apparent from looking at stats alone. And nowadays, there&apos;s plenty of free graphic design software to help you do just that. As author, data journalist and information designer David McCandless said in his TED talk: "By visualising information, we turn it into a landscape that you can explore with your eyes, a sort of information map. And when you&apos;re lost in information, an information map is kind of useful." There are many different ways of telling a story, but everything starts with an idea. So to help you get started we&apos;ve rounded up some of the most awesome data visualisation tools available on the web. 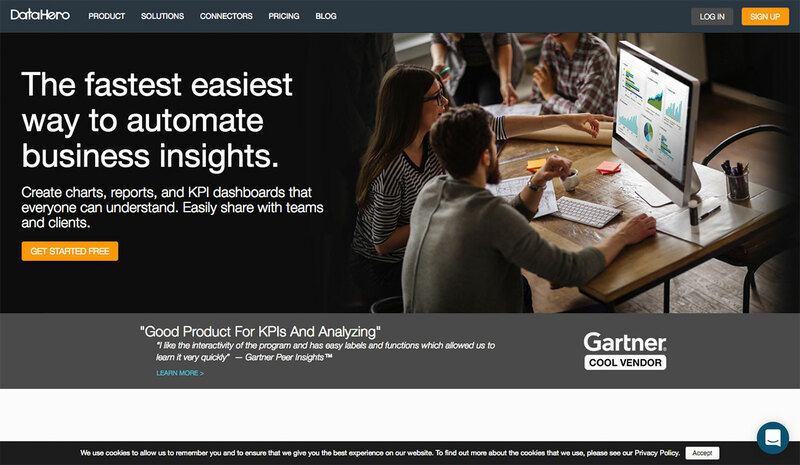 DataHero enables you to pull together data from cloud services and create charts and dashboards. No technical abilities are required, so this is a great tool for your whole team to use. 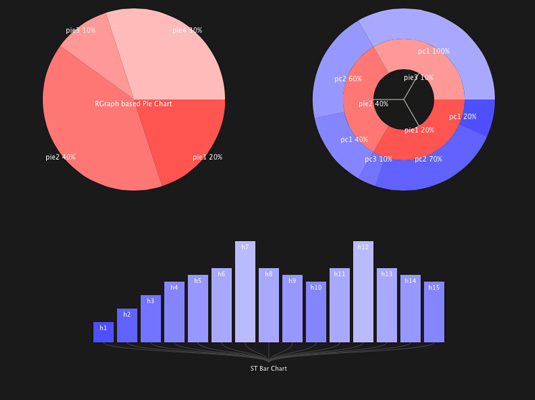 Although armed with only six chart types, open source library Chart.js is the perfect data visualisation tool for hobbies and small projects. 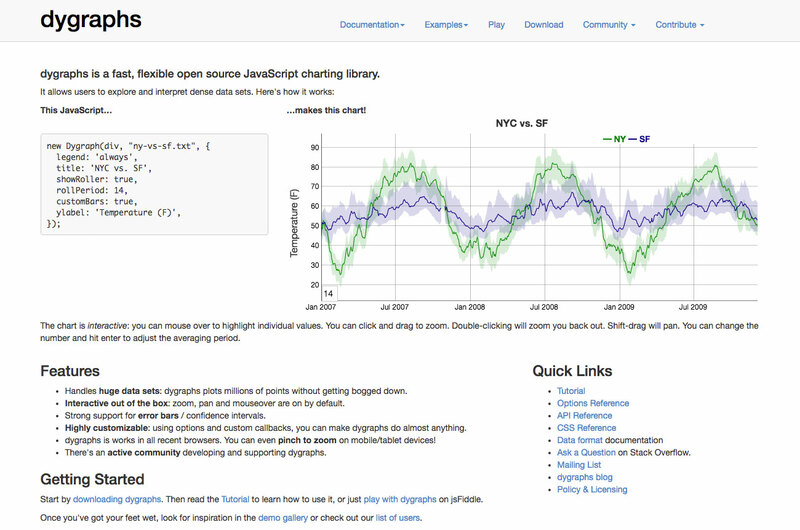 Using HTML 5 canvas elements to render charts, Chart.js creates responsive, flat designs, and is quickly becoming one of the most poplar open-source charting libraries. 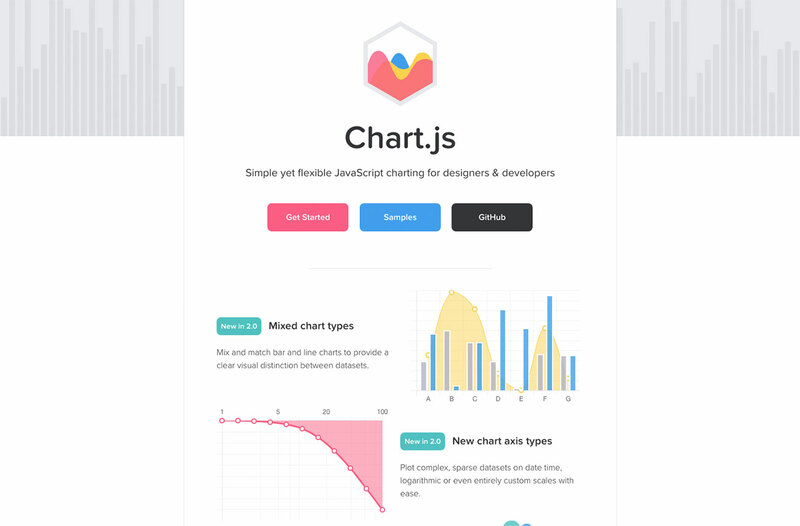 Read more about how to use Chart.js here. Packed with graphs, charts, maps and more, Tableau Public is a popular data visualisation tool that&apos;s also completely free. Users can easily drag and drop data into the system and watch it update in real-time, plus you can collaborate with other team members for quick project turnaround. 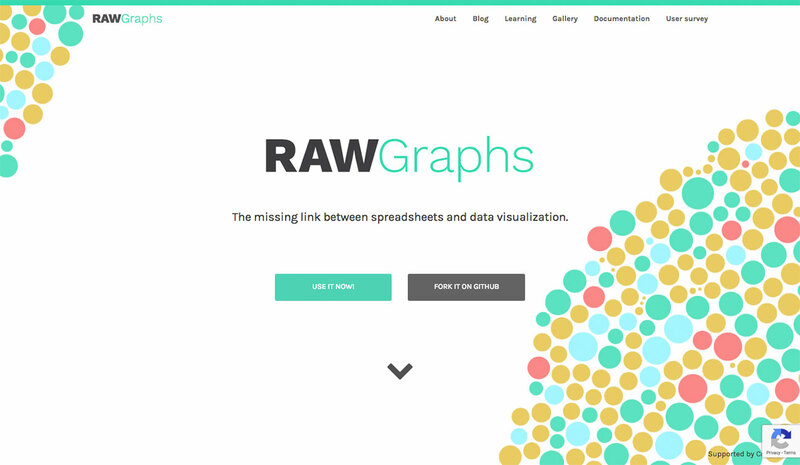 Open, customisable, and free to download and modify, RAWGraphs lets users create vector-based data visualisations. Data can be safely uploaded from apps to computers, plus it can be exported as an SVG or PNG and embedded in your webpage. 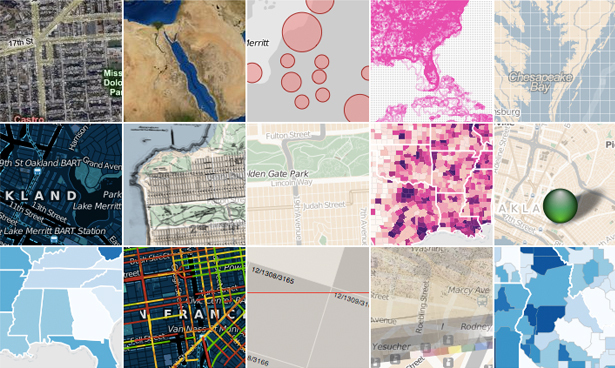 If you&apos;re looking for a data viz tool with mapping, InstantAtlas is worth checking out. 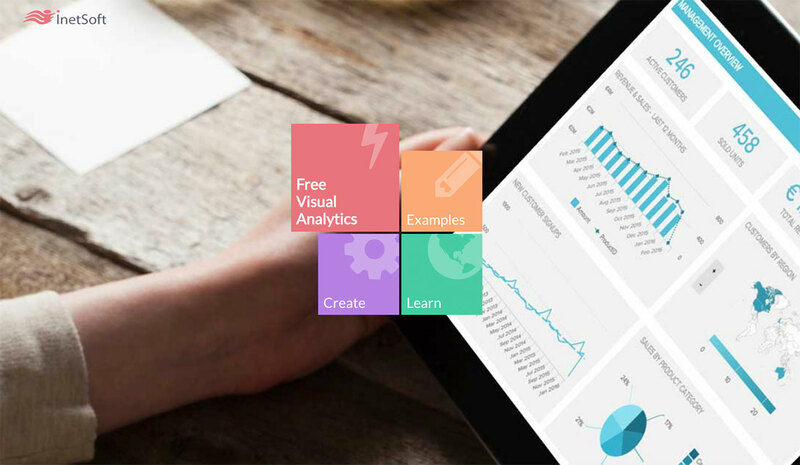 This tool enables you to create highly-interactive dynamic and profile reports that combine statistics and map data to create engaging data visualisations. 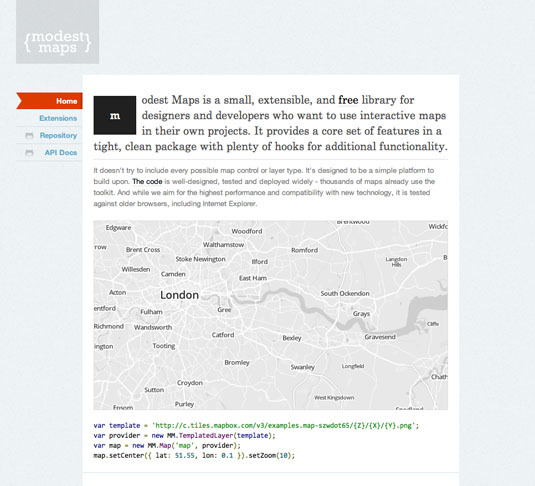 Modest Maps is a lightweight, simple mapping tool for web designers that makes it easy to integrate and develop interactive maps within your site, using them as a data visualisation tool. The API is easy to get to grips with, and offers a useful number of hooks for adding your own interaction code, making it a good choice for designers looking to fully customise their user&apos;s experience to match their website or web app. The basic library can also be extended with additional plugins, adding to its core functionality and offering some very useful data integration options. 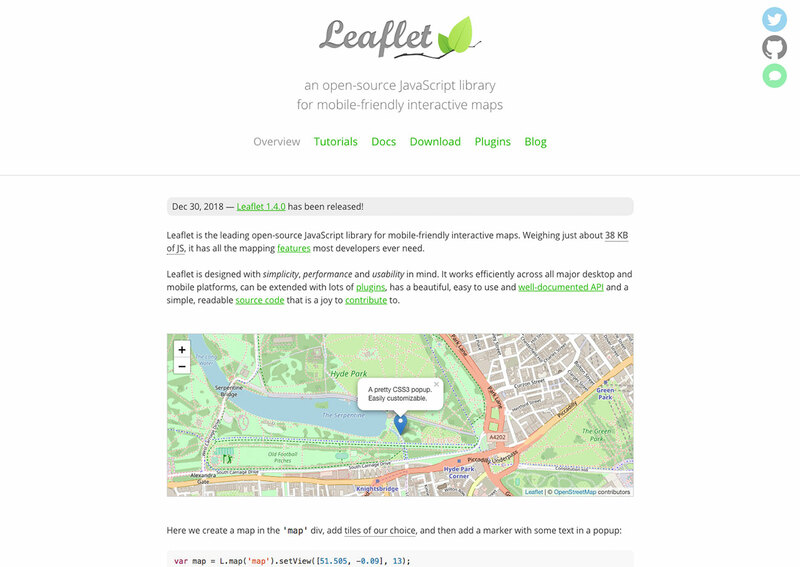 Another mapping tool, Leaflet makes it easy to use OpenStreetMap data and integrate fully interactive data visualisation in an HTML5/CSS3 wrapper. The core library itself is very small, but there are a wide range of plugins available that extend the functionality with specialist functionality, such as animated markers, masks and heatmaps. 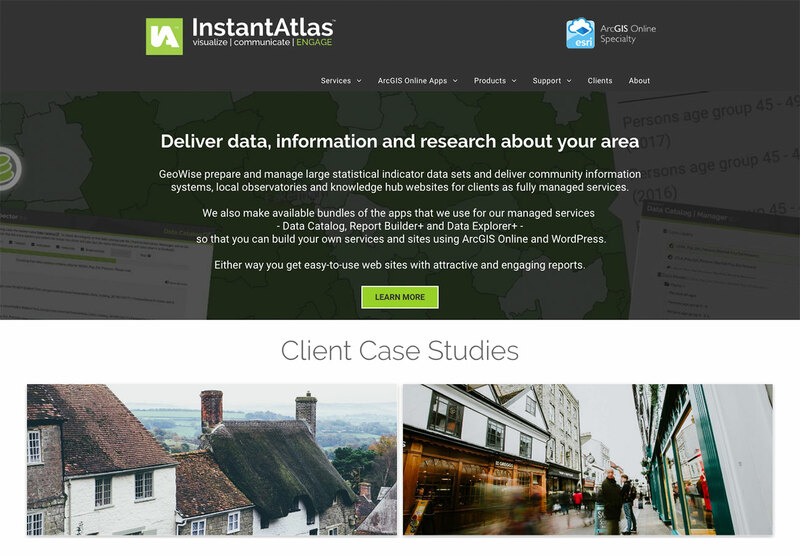 It&apos;s perfect for any project where you need to show data overlaid on a geographical projection. 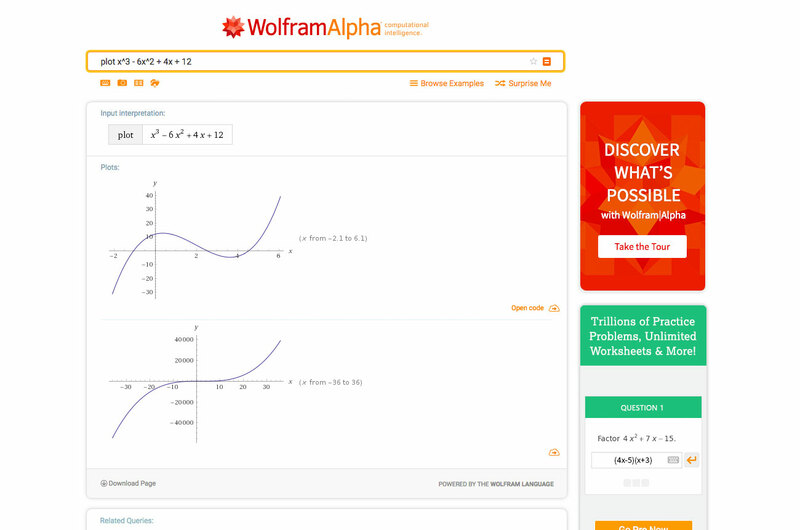 Billed as a "computational knowledge engine", the Google rival WolframAlpha is really good at intelligently displaying charts in response to data queries, without the need for any configuration. If you&apos;re using publicly available data, this offers a simple widget builder to make it really simple to get visualisations on your site. 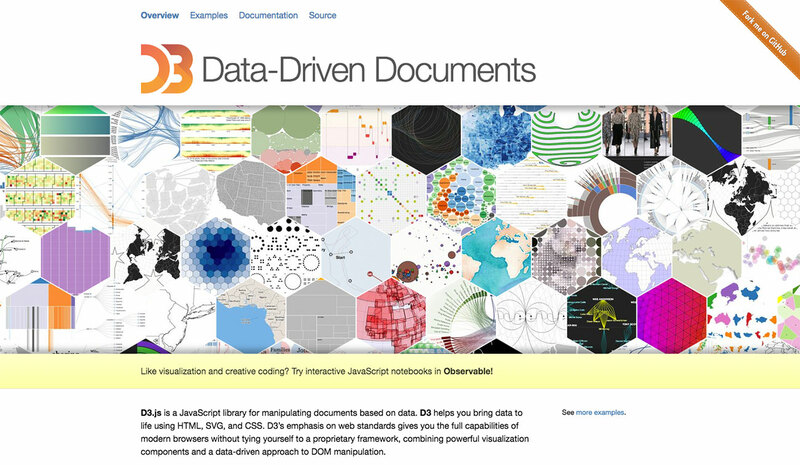 Visualize Free is a hosted tool that allows you to use publicly available datasets, or upload your own, and build interactive visualisations to illustrate the data. The visualisations go well beyond simple charts, and the service is completely free, plus while development work requires Flash, output can be done through HTML5. Orientated towards making positive change to the world, Better World Flux has some lovely visualisations of some pretty depressing data. It would be very useful, for example, if you were writing an article about world poverty, child undernourishment or access to clean water. 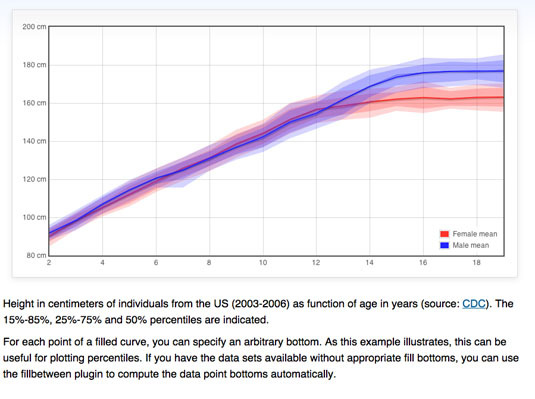 This tool doesn&apos;t allow you to upload your own data, but does offer a rich interactive output. 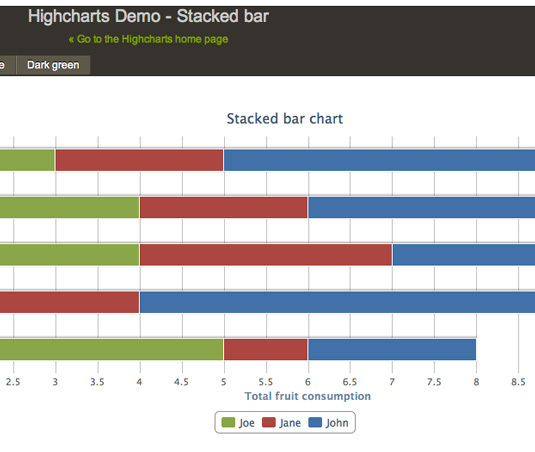 Another jQuery plugin, jqPlot is a nice solution for line and point charts. It comes with a few nice additional features such as the ability to generate trend lines automatically, and interactive points that can be adjusted by the website visitor, updating the dataset accordingly. 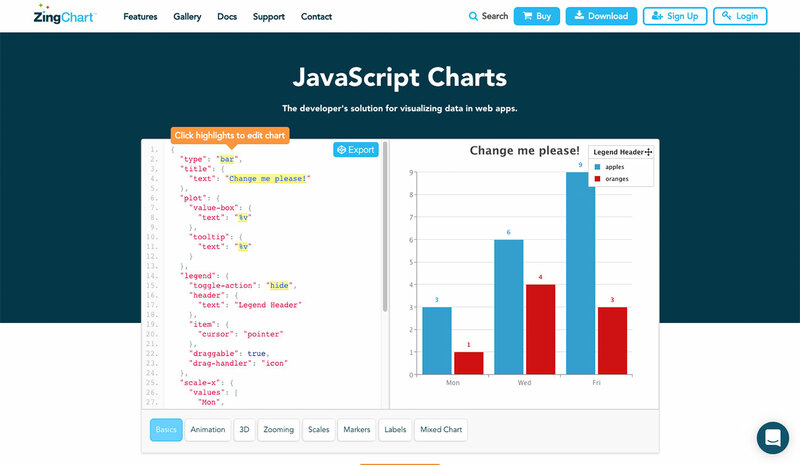 If you need to generate charts and graphs server-side, jpGraph offers a PHP-based solution with a wide range of chart types. It&apos;s free for non-commercial use, and features extensive documentation. By rendering on the server, you&apos;re guaranteed a consistent visual output, albeit at the expense of interactivity and accessibility. 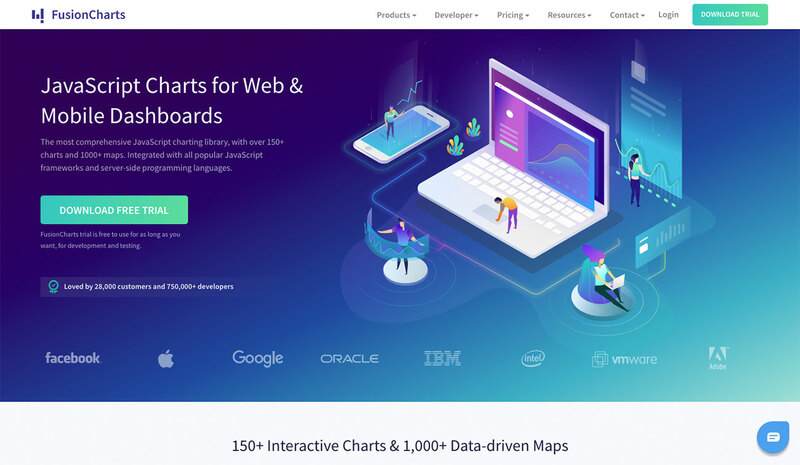 The seminal charting solution for much of the web, Google Charts is highly flexible and has an excellent set of developer tools behind it. It&apos;s an especially useful tool for specialist visualisations such as geocharts and gauges, and it also includes built-in animation and user interaction controls. 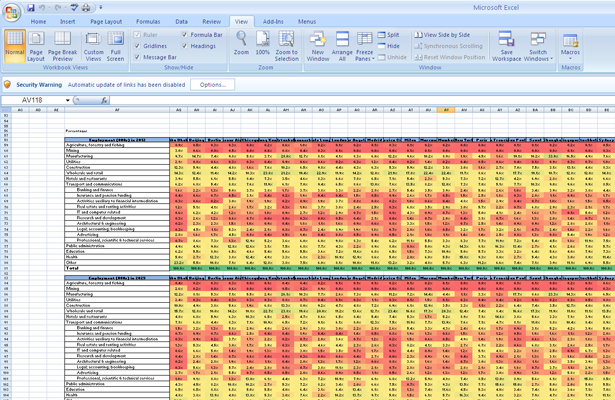 You can actually do some pretty complex things with Excel, from &apos;heat maps&apos; of cells to scatter plots. As an entry-level tool, it can be a good way of quickly exploring data, or creating visualisations for internal use, but the limited default set of colours, lines and styles make it difficult to create graphics that would be usable in a professional publication or website. Nevertheless, as a means of rapidly communicating ideas, Excel should be part of your toolbox. Excel comes as part of the commercial Microsoft Office suite, so if you don&apos;t have access to it, Google&apos;s spreadsheets – part of Google Docs and Google Drive – can do many of the same things. Google &apos;eats its own dog food&apos;, so the spreadsheet can generate the same charts as the Google Chart API. This will get your familiar with what is possible before stepping off and using the API directly for your own projects. Dragging on variables enables you to increase or decrease their values and see an accompanying chart update automatically. The results are only just short of magical. 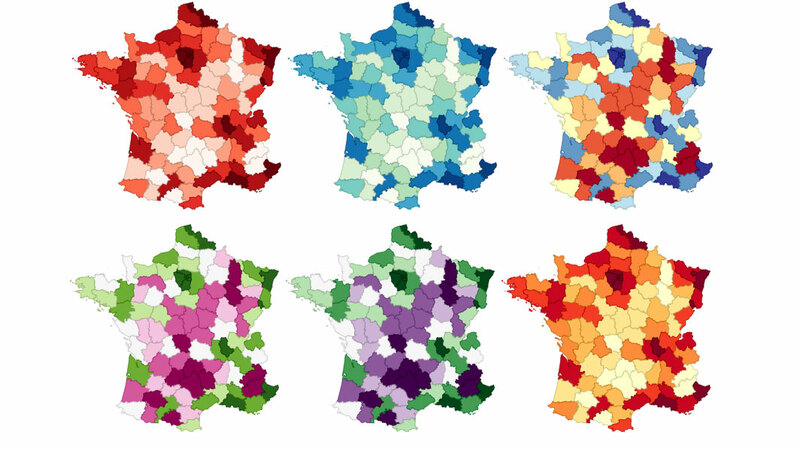 Polymaps is a mapping library that is aimed squarely at a data visualisation audience. Offering a unique approach to styling the the maps it creates, analogous to CSS selectors, it&apos;s a great resource to know about. OpenLayers is probably the most robust of these mapping libraries. The documentation isn’t great and the learning curve is steep, but for certain tasks nothing else can compete. When you need a very specific tool no other library provides, OpenLayers is always there. 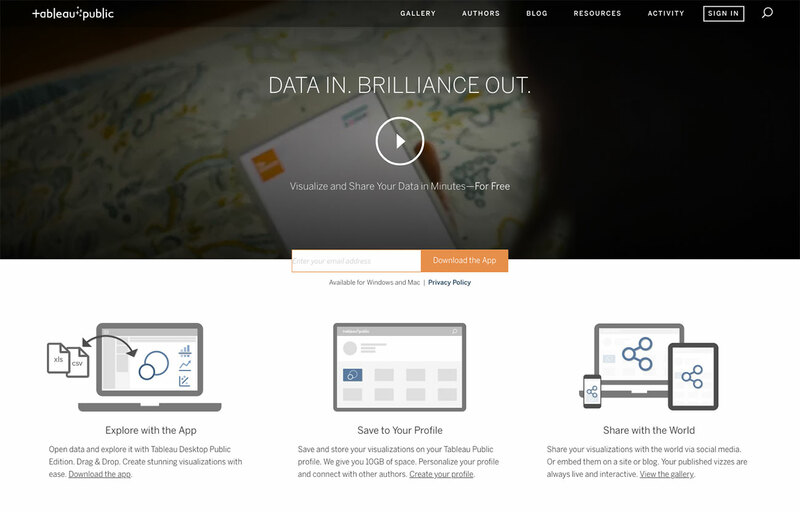 Kartograph&apos;s tag line is &apos;rethink mapping&apos; and that is exactly what its developers are doing. 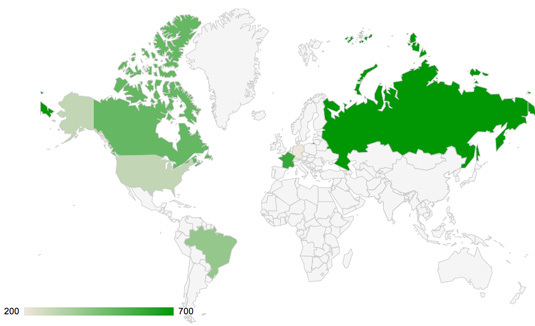 We&apos;re all used to the Mercator projection, but Kartograph brings far more choices to the table. If you aren&apos;t working with worldwide data, and can place your map in a defined box, Kartograph has the options you need to stand out from the crowd. Carto is a must-know site. The ease with which you can combine tabular data with maps is second to none. For example, you can feed in a CSV file of address strings and it will convert them to latitudes and longitudes and plot them on a map, but there are many other users. It&apos;s free for students; for everyone else, there are various monthly pricing plans. 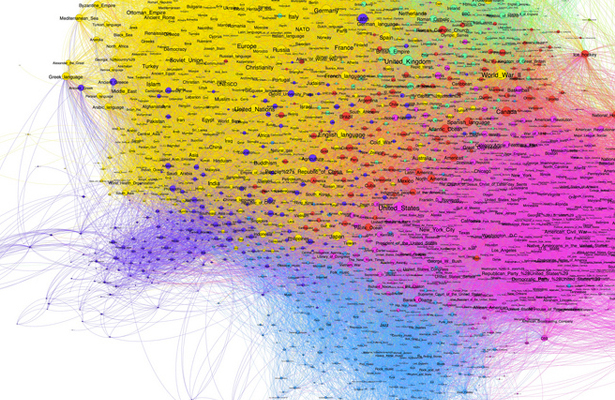 Processing has become the poster child for interactive visualizations. It enables you to write much simpler code which is in turn compiled into Java. There is also a Processing.js project to make it easier for websites to use Processing without Java applets, plus a port to Objective-C so you can use it on iOS. It is a desktop application, but can be run on all platforms, and given that it is now several years old, there are plenty of examples and code from the community. 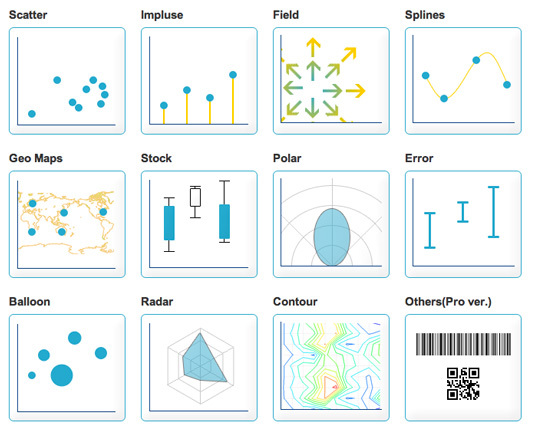 NodeBox is an OS X application for creating 2D graphics and visualizations. You need to know and understand Python code, but beyond that it’s a quick and easy way to tweak variables and see results instantly. It’s similar to Processing, but without all the interactivity. How many other pieces of software have an entire search engine dedicated to them? A statistical package used to parse large data sets, R is a very complex tool, and one that takes a while to understand, but has a strong community and package library, with more and more being produced. The learning curve is one of the steepest of any of these tools listed here, but you must be comfortable using it if you want to get to this level. When people talk about relatedness, social graphs and co-relations, they are really talking about how two nodes are related to one another relative to the other nodes in a network. The nodes in question could be people in a company, words in a document or passes in a football game, but the maths is the same. Gephi, a graph-based visualiser and data explorer, can not only crunch large data sets and produce beautiful visualisations, but also allows you to clean and sort the data. It&apos;s a very niche use case and a complex piece of software, but it puts you ahead of anyone else in the field who doesn&apos;t know about this gem. 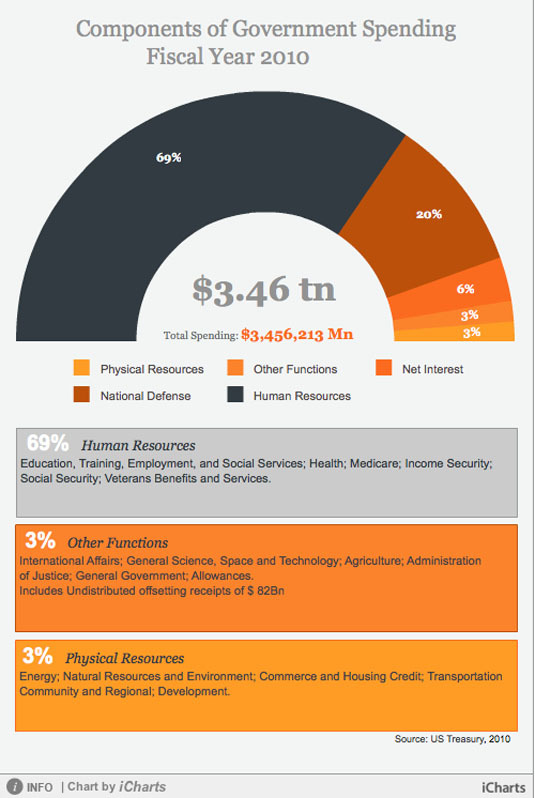 The iCharts service provides a hosted solution for creating and presenting compelling charts for inclusion on your website. There are many different chart types available, and each is fully customisable to suit the subject matter and colour scheme of your site. 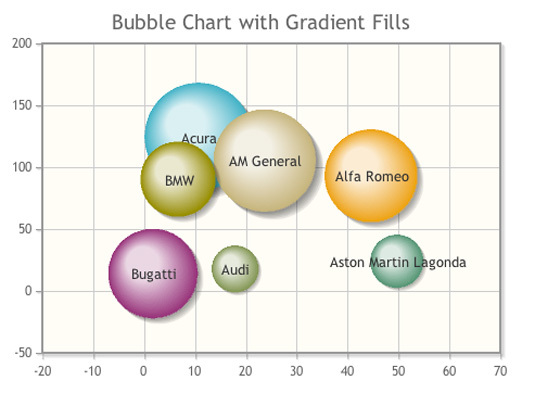 Charts can have interactive elements, and can pull data from Google Docs, Excel spreadsheets and other sources. The free account lets you create basic charts, while you can pay to upgrade for additional features and branding-free options. Flot is a specialised plotting library for jQuery, but it has many handy features and crucially works across all common browsers including Internet Explorer 6. Data can be animated and, because it’s a jQuery plugin, you can fully control all the aspects of animation, presentation and user interaction. This does mean that you need to be familiar with (and comfortable with) jQuery, but if that’s the case, this makes a great option for including interactive charts on your website.